Product code: 1176 Categories: Sold Items, Sold Watches. 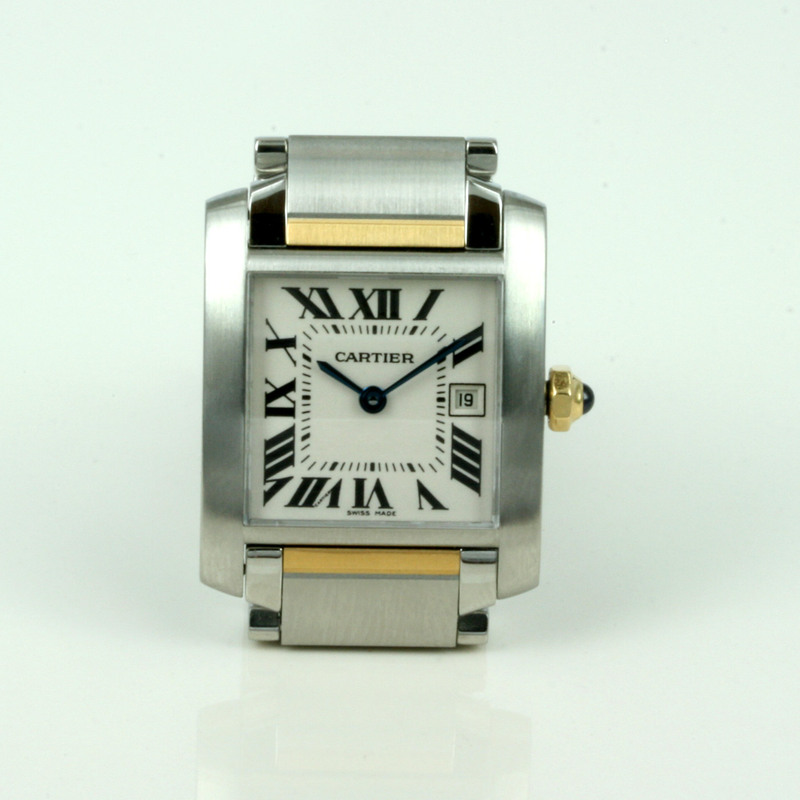 This is a great and such a classic looking mid-size Cartier Tank watch made in 18ct gold and stainless steel. With the white dial with the date and black Roman numerals, the watch case measures 25mm (28mm with the sapphire set crown) x 29mm and looks perfect day or night. 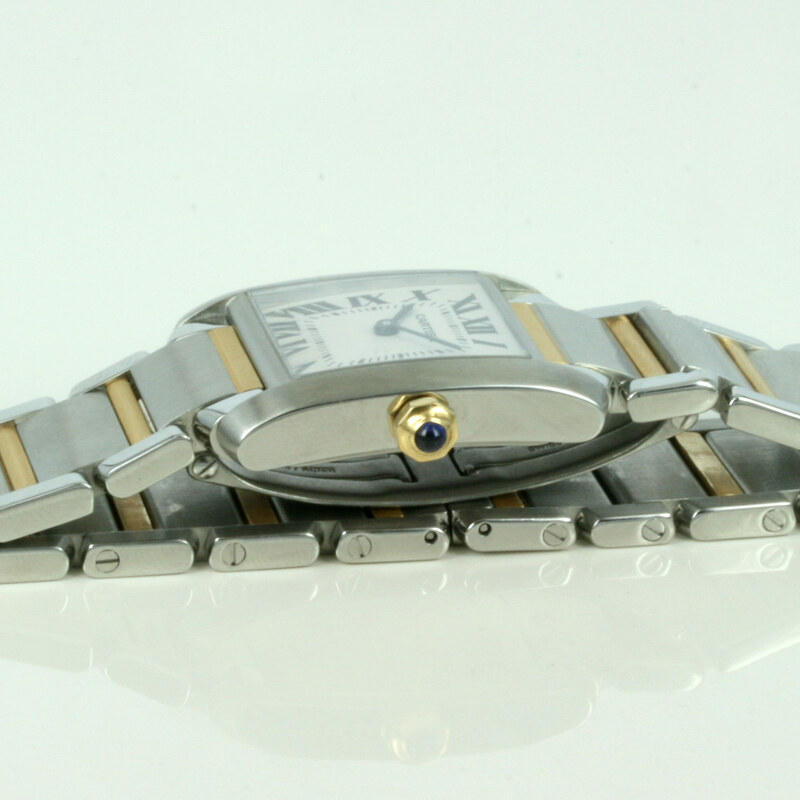 With a Cartier quartz movement, this is the kind of watch that can just be worn all the time. 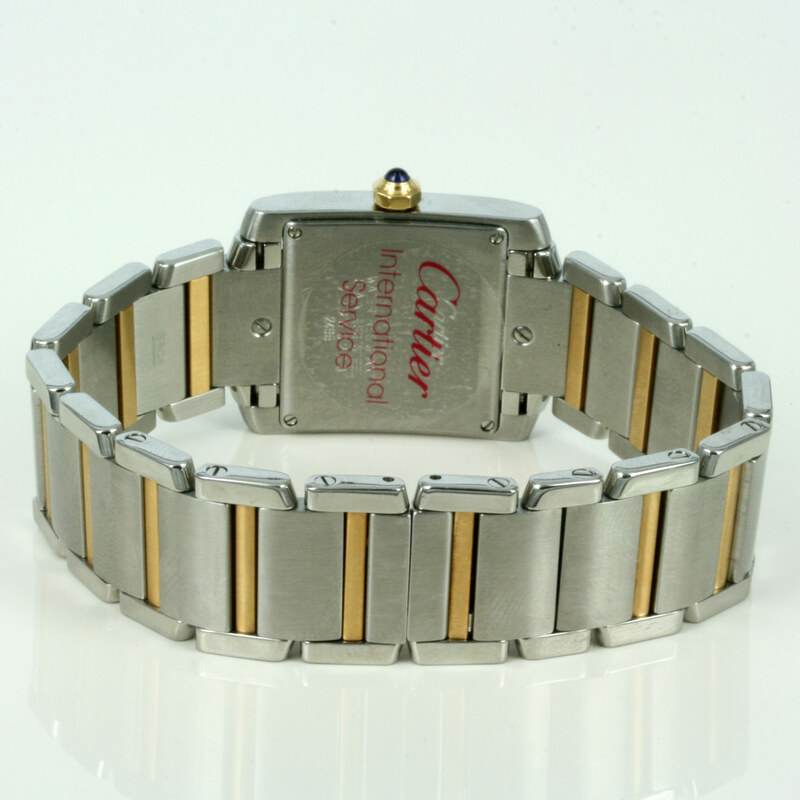 A great example of a classicly styled watch by Cartier.